He's a mentalist. He reads thoughts. He makes predictions (though don't ask him to pick the winners of sporting events). 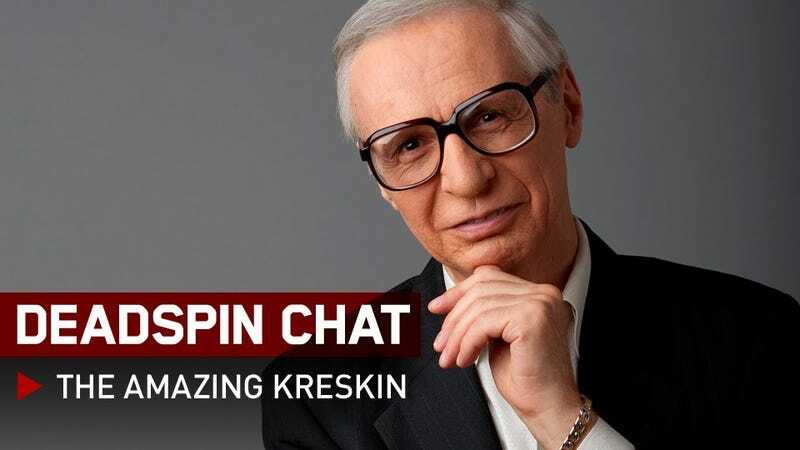 He's the Amazing Kreskin, and he's been doing this since long before your parents used to watch him occasionally clown around with Johnny Carson on The Tonight Show. He's down in the discussion to chat with you right now. Yes, you may ask him about Manti Te'o and doping issues, but he already knows you will. Go! Update (3:17 p.m.): Kreskin's gotta run. We can't thank him enough for answering exactly three out of the more than 200 questions our readers took the time to ask. He wrote a book last summer. Don't bother buying it. Update (5:47 p.m.): Kreskin's publicist explains to us what happened.